Becoming a Tutor in music at the University of Melbourne in 1974, when I had just graduated with my bachelor’s degree, soon filled me with more questions than I had answers for. In those days, music training in Australian conservatories mostly followed dated British models, and opportunities to do specialist postgraduate study were limited. I soon hungered for advanced study abroad. Exploring the course options in Europe and the USA, I noticed that many of the texts I had used in my undergraduate course were written by musicologists teaching in New York; so having successfully obtained a Fulbright award, and with a travelling scholarship from Australia, I set out for “The Big Apple,” where I enrolled for a PhD in Musicology. The USA was then—and will remain for many years to come—the world’s leading centre for first-class university research and graduate study, attracting front-rank researchers and graduate students from across the globe. During the three years I lived there, I took graduate classes at Columbia University, Queens College and the City University of New York Graduate School, attending lectures by many distinguished figures, ranging from composer John Cage to anthropologist Margaret Mead and playwright Eugene Ionesco. I studied specialisations scarcely taught in Australia then—Schenkerian Analysis, Twelve-tone Theory, Musical Paleography and Iconography, Aesthetics and Music Criticism—as well as taking a practical course in Orchestral and Choral Conducting of a kind unknown in Australia. I became Research Assistant to the revered authority on early music Professor Gustave Reese, working on revising his books. Academically, it was everything I had hoped for; and as well, New York City was for a musician an education in itself: aside from its museums and galleries, I soaked up world-class live music at the Metropolitan Opera and the New York Philharmonic, I heard the greatest performers of the day in concert, and saw many famous artists who had never toured Down Under but appeared regularly in New York. All in all, it was a transformational experience. After three years I felt bristling with the benefits of an American graduate education, and ready for academic employment again. As my scholarships expired and my money started to run out, I was offered a very junior position in New York’s leading music school. But because of the Fulbright visa requirement that, on completion of my study program, I returned to my own country for two years, I had to decline the New York post. At first I chafed at this; but later I came to understand the importance of William Fulbright’s vision of spreading first-rate American learning and research skills to other countries. 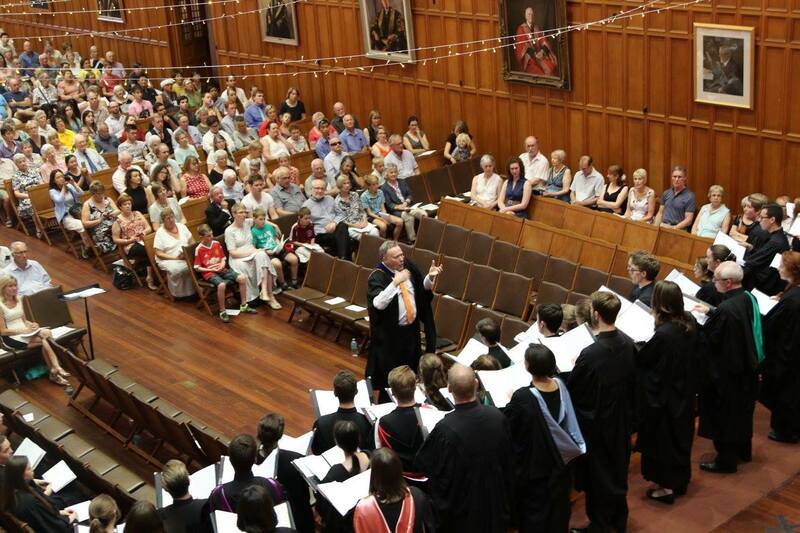 For returning to Australia did enable me to make a prominent contribution to the academic life of my country: in 1979 I became a lecturer at the ANU School of Music, a few years later I was proud to be invited back to the University of Melbourne as Dean of the Conservatorium—where my studies had begun years before—and later still I was privileged to become Vice Chancellor at the University of Adelaide. My experience in the US continued to inform my judgement and perspective of educational matters throughout my tenure in those positions. The Fulbright played a pivotal role in my education. My father had been a dairy farmer, and later a storeman and packer; he raised his family with limited means, and I was the first in the family to go to university. My parents’ ambitions for me had been modest, and unquestionably, I could not have studied in the US without the Fulbright award, nor had such a rapid path to positions of academic leadership later on. Through the Fulbright Host Family scheme I also made lifelong friends with an American family. I am immensely proud of being a Fulbright alumnus, and continue to recommend the scheme to anyone with an interest graduate study in the US.